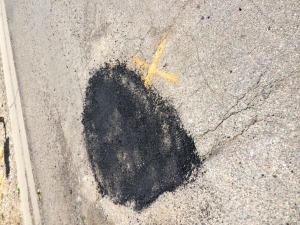 Potholes occur when moisture penetrates cracks in the asphalt surface of a road or driveway. 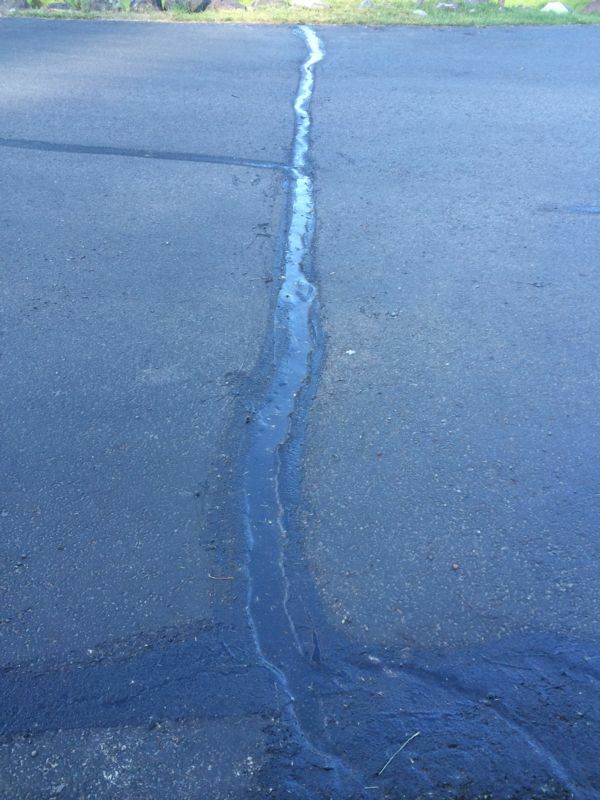 Cold weather freezes the water and causes it to expand. 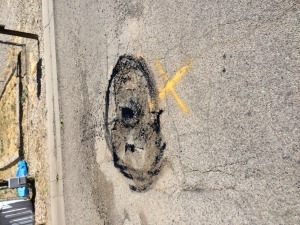 A pothole forms when dirt and gravel is forced out leaving a hole. The ice eventually melts, and the stressed asphalt becomes a pothole. 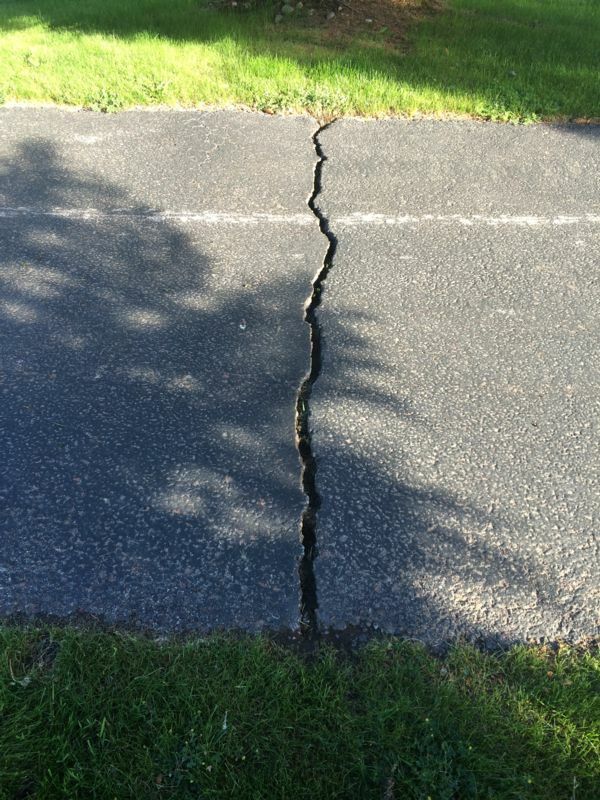 We can remove failed and broken asphalt with new hot asphalt. This includes potholes, alligatoring and utility cuts. We usually saw cut the area first. 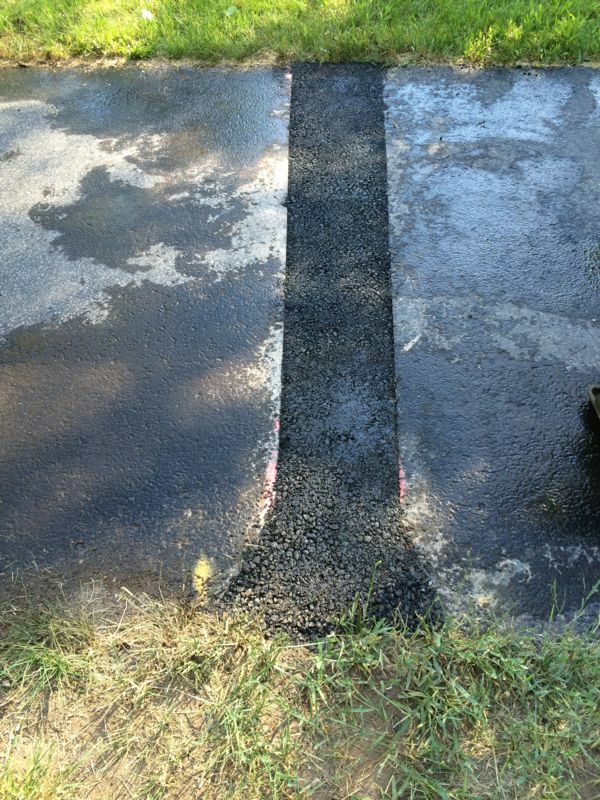 Then we remove the old asphalt, and replace with new hot asphalt. 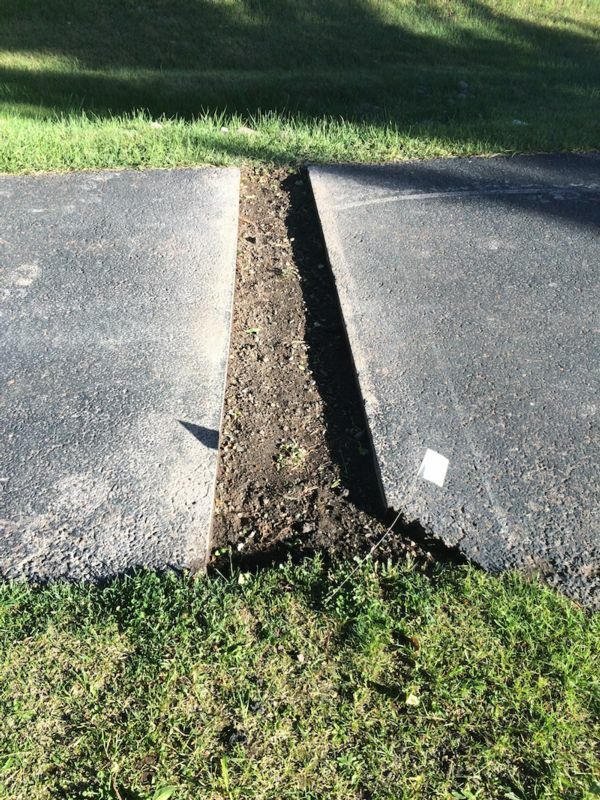 Typically, 2-3 inches are laid, and then compacted.